Most West Virginians who leave the state encounter a few different responses when they say they are from the Mountain State. These range from comments about Roanoke (actually in Virginia) to jokes about hillbillies and indoor plumbing and, lately, comments about Donald Trump. Why and how do these concepts play a role at home? Who shapes these larger ideas about the region? In 1969, the slogan “Wild and Wonderful” was emblazoned across state “welcome boards” and government pamphlets. Of course, we can’t forget the prominence of John Denver’s “Country Roads” in the national consciousness. This song has been a favorite of West Virginians and many Americans since the 1970s. For most of us from West Virginia, there is a sense of pride and community surrounding the mountains. This phenomenon crosses political, social, and class lines. It also is one of the only positive aspects of identity that is projected nationally. 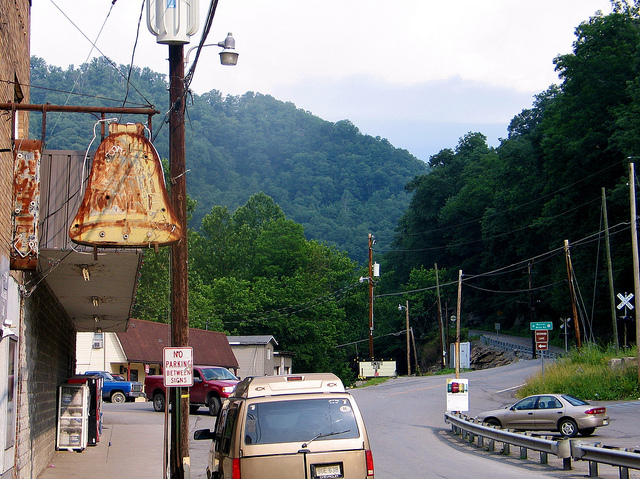 Other than the mountains, West Virginia’s main references have been coal and poverty. These two themes overwhelmed the way other Americans referred to West Virginia and Appalachia. Poverty tours in the 1960s and 1970s depicted Appalachia as poor, white, and clinging to the coal industry and these tropes have been heavily used since the 2016 election. Downtown War by Taber Andrew Bain, Flickr. During the election, the image of now-President Trump donning a coal miner’s hat and digging was seared into the minds of West Virginians. After he won West Virginia with 68 percent of the vote, the media labeled West Virginia “Trump Country.” Correspondents from many national newspapers descended onto the state to understand the Appalachian Trump voter by interviewing a mass of people from coal country or—more likely—McDowell County. However, this constant reference to West Virginia as Trump Country or Coal Country leaves many locals out of the larger picture. It’s the oft-repeated single story surrounding Appalachia. And many have accepted their obligation: Enter Newstory, a WV Community Hub project set on creating a media renaissance. I attended a Newstory conference with a good friend, and it was an eye-opening experience. It connected a group of young media professionals from across the Appalachian region. They had backgrounds in nature photography, magazine start-ups (like ClutchMOV or Weelunk), cultural festivals, and city renewal projects (like Elk City and Mesh Design and Development). A fan favorite for locals and new-wave online journalism project, 100 Days in Appalachia, presents its audience with an alternative to national news. Another unexpected ally of West Virginia, Anthony Bourdain, visited West Virginia in a “Parts Unknown” special (Season 11, Episode 1). He too was presenting a different face of West Virginia beyond poverty. He explored an impoverished area, a formerly busy coal town, and McDowell County. Some locals expressed displeasure with his visit to the quintessential stereotype of the region. But overall, his message was positive and he makes his viewers question the negative stereotype of the state. In literature, the fight for Appalachian identity was spotlighted during the 2016 presidential campaign. J.D. Vance’s Hillbilly Elegy arose as a popular explanation for white poverty in the region. Many times when a person learns I’m from West Virginia, they ask, “Have you read Elegy?” It’s received high praise from readers and its fame is undeniable. But, the liberal use of “we” and its final chapter frames the region as a Scots-Irish ethnic conglomerate stuck in poverty. The book received mixed reviews from inside the region and many recoiled at the claims of culture made by Vance. Partly in response to Elegy , Elizabeth Catte released What You Are Getting Wrong about Appalachia. Her book focuses on West Virginia, but perhaps that’s because the abundance of archival material about “Appalachia” comes from the Mountain State. Watch this Fall Out 76 trailer, which features both “Country Roads” and amazing scenery such as the New River Gorge Bridge. A video game set in a post-nuclear war society. 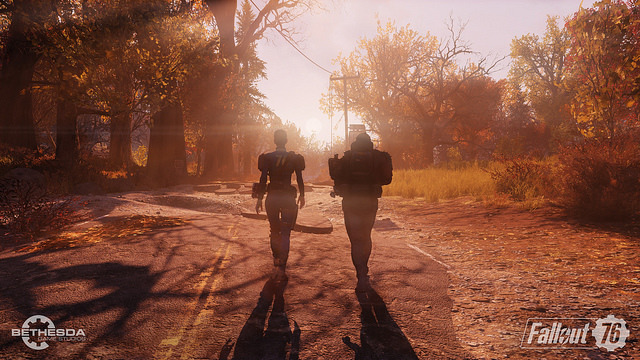 In December, the public will see how this game portrays post-apocalyptic West Virginia. West Virginia and Appalachia is filled with stories and opportunities. 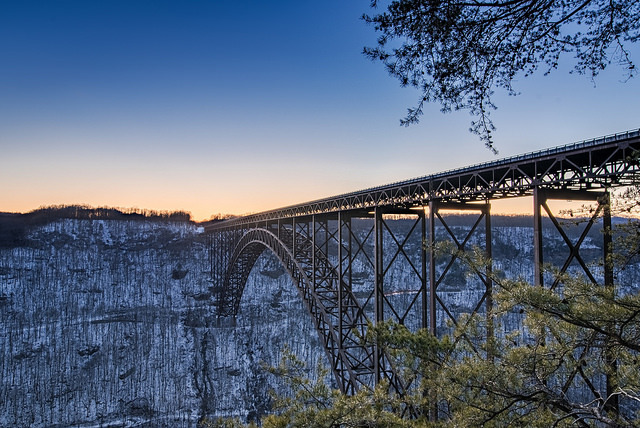 Places like West Virginia continue to struggle with issues such as brain drain (young people leaving the area), economic development and transition problems, and lack of education. These are not the only stories worth telling. There are stories of strength, of community, and of culture that often go untold. But how can regional leaders publicize these stories of success and challenge? Will young media leaders in West Virginia change the narrative—or at least contribute to it? Expatalachians enters this narrative battle. We hope to spotlight stories from the region that matter to people. We hope that this will energize the public to read not just our stories, but the stories of others with a lived experience in the region. 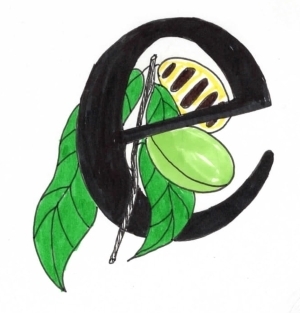 And to follow our progress, subscribe to our newsletter. What do you think? Comment and let us know.